Loretta Lynch confirmation: Senate Republicans can't find anyone to say something bad about Obama's attorney general nominee. Loretta Lynch remains on pace to replace Attorney General Eric Holder. Any drama that remained in attorney general nominee Loretta Lynch’s confirmation proceedings had largely disappeared by the time the Judiciary Committee recessed for lunch on Thursday. After the nine witnesses had finished giving their opening statements, Sen. Pat Leahy, the top Democrat on the panel, opened the first round of questions with a simple request: for any witness who opposed Lynch’s confirmation to raise his hand. Not a single one did. “I hope we can move on,” Leahy said. Lynch’s chances at confirmation grew stronger still when Republican Sen. Orrin Hatch announced that Lynch’s performance before the committee on Wednesday was enough to seal the deal for him. “I believe she’s not only qualified but exceptionally well-qualified and a very good person, to boot,” the Utah senator said, becoming the first Republican on the committee to publicly endorse Lynch, who would become the first black woman to lead the Department of Justice. Lynch will need the support of at least two more GOP members of the panel. Those votes are likely to come from Sens. Lindsey Graham (South Carolina) and Jeff Flake (Arizona), both of whom have had plenty of kind words for her. Her nomination would then head to the Senate floor, where Majority Leader Mitch McConnell has suggested he won’t block it. Still, it will likely be at least a couple of weeks before the committee votes on her nomination, and perhaps a couple of months before the full chamber does. In the meantime, Republicans have made it clear that they will turn almost any conversation about Lynch into one about the man she will replace, Eric Holder, and his boss, President Obama. The administration-bashing that began on the first day of the proceedings continued into the second unabated. Among the witnesses called by the GOP for Thursday’s hearing were three people currently involved in lawsuits against the Obama administration: Sharyl Attkisson, the former CBS News investigative journalist who claims the administration hacked into her computer; Catherine Engelbrecht, the founder of a conservative group who claims she was targeted by the IRS because of her push for voter ID laws; and Jonathan Turley, a professor at George Washington University Law School who was hired by Republicans to represent the House in its Obamacare lawsuit. 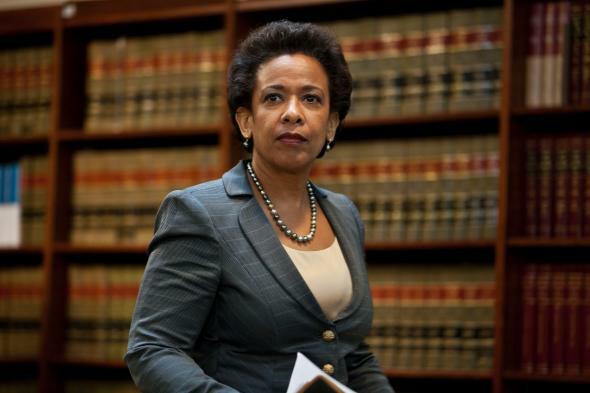 With Republicans sharing that interest, Lynch’s nomination now looks like all but a done deal.